When searching for new windows for your business, the look and feel that they create in your building can have a major impact on employees and guests who enter. The window specialists at SAHR Building Supply are committed to providing you with the best windows for your business. We will assist you in getting the right windows to create a comfortable and professional work environment in your building. Your windows should provide good lighting for your business, as well as providing insulation and aesthetics. With our wide range of materials including wood, fiberglass, aluminum, and vinyl, our window specialists will make sure that you get the best fit for your company. We understand that most companies are on a budget, and we will work with you to get the best windows possible while staying within your price range. SAHR has competitive prices and top quality brands with materials guaranteed to satisfy your needs. Whether you need your commercial windows installed in one office or an entire building, we will turn your ideas into a reality. 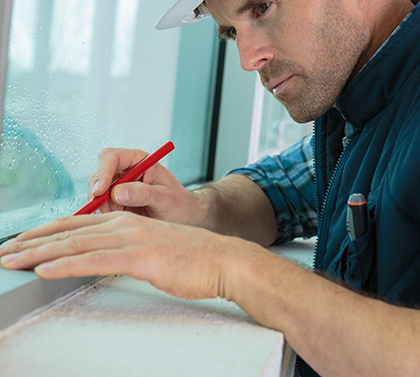 Our window specialists handle projects of all shapes and sizes. With quality materials, years of experience and exceptional service, we are ready to handle any window project from start to finish. For more information about commercial windows from SAHR Building Supply, please contact us here or call us directly at 855.724.7934.